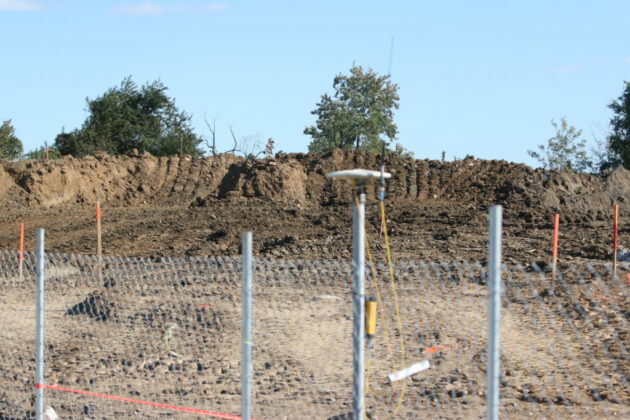 Work kicks off to clear the site of the future Long Bridge Park aquatics and fitness center. 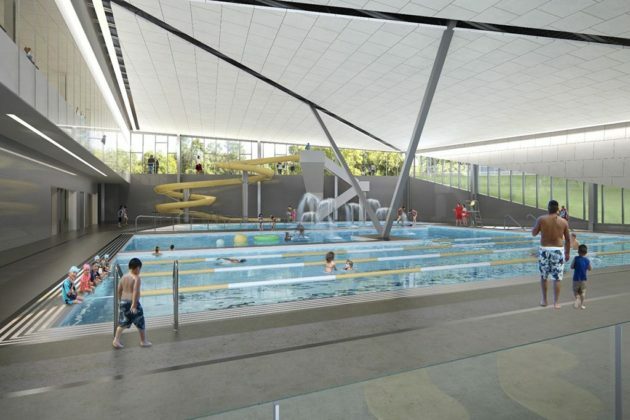 Arlington officials are getting ready to spend nearly $410,000 for the installation of video boards at the Long Bridge Park aquatics and fitness center, a pricy project that has drawn plenty of criticism over the years. The County Board is set to approve a contract with a construction company this weekend, after staff submitted a report arguing that only a firm with “specialized knowledge” will be able to handle the installation of the center’s audiovisual systems. 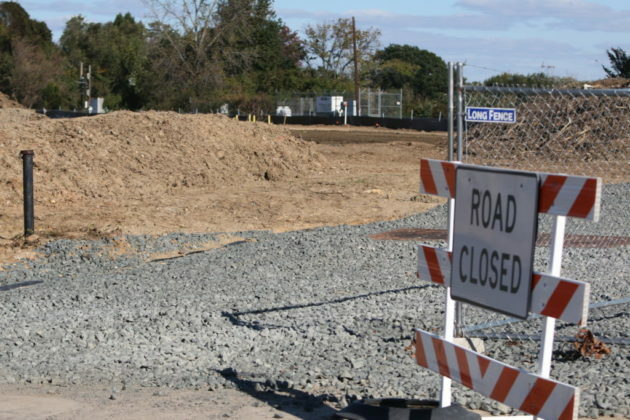 The county’s main contractor kicked off work on the building this summer, though workers have mainly been occupied with clearing the site at 475 Long Bridge Drive since then. The Long Bridge project has long been the subject of intense scrutiny, after creeping costs convinced county leaders to repeatedly delay its construction. Former County Board member John Vihstadt was no fan of the project either, railing against its expense during his successful bids for office in 2014. Vihstadt and other skeptics around the county argued that Arlington had more pressing budget needs than a new pool, and that the project had become full of excesses. But the Board signed off on a scaled down, $60 million version of the project over Vihstadt’s objections in 2017. However, there were few mentions of the audiovisual system set to be installed as part of this work during debates over the matter. 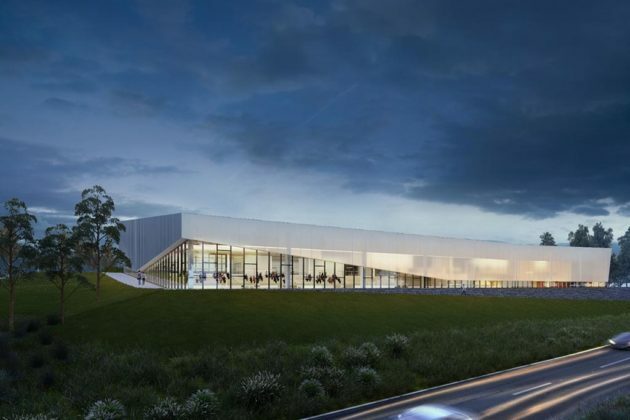 The Board is currently set to draw the $410,000 for the A/V installation from a $10.7 million fund the county set aside for the project’s “soft costs,” on top of the original $60 million sum designated for the center’s construction. Board members are set to approve the new contract at its meeting Saturday (Jan. 26). 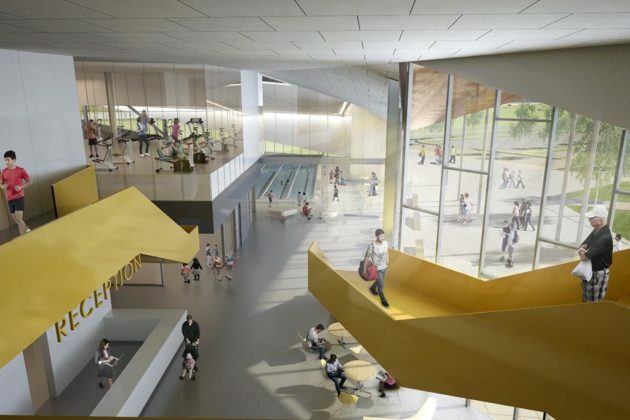 When the project is finished, likely sometime in 2021, the center is also set to include room for diving at a variety of heights, and a family pool, complete with elements including a lazy river, splash pad for tots, basketball, volleyball, lap lanes and a water slide. 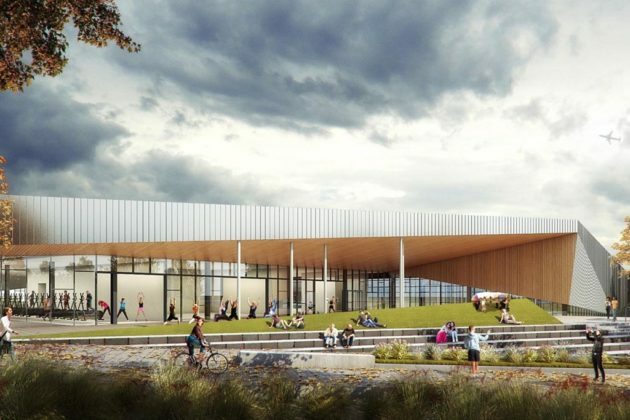 The project also includes a new fitness center, billed as the largest one operated by the county, and an expansion of the adjacent park and its walkways. A working group convened to hash out potential fees for the center’s users is also set to meet next Thursday (Jan. 31), as the county solicits feedback on what services residents want to see at Long Bridge.